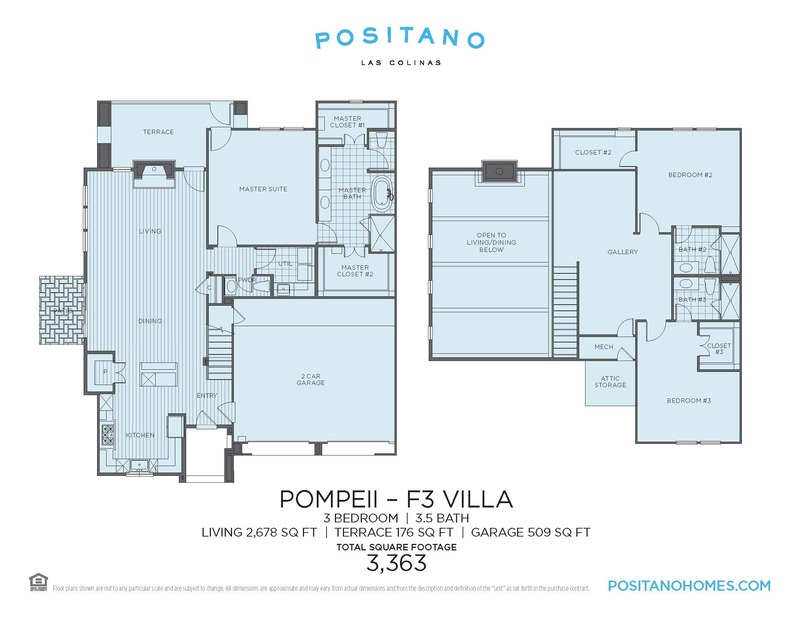 The Pompeii great room features a stone fireplace and soaring ceiling heights accented by exposed wood-beamed ceilings. This open concept layout also includes a formal dining area, airy loft, and gourmet kitchen. 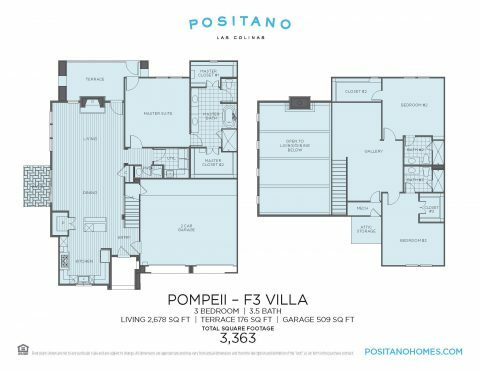 The Pompeii offers 3 bedrooms and a 2 car attached garage.